The Lenovo Thinkpad x230t has been around since late 2012 and may be due for an update soon, but specs-wise at least, it is still very competitive. The 12.5-inch convertible laptop ships with either an i5 or i7 processor, a minimum of 4GB of RAM expandable to 16GB and either a 500GB 7200 rpm hard drive or your choice of 128 or 256GB SSD. The x230t ships with Windows 7, so you will need to upgrade if you want the latest operating system. Since it's a full laptop, you may find its 3.7 lb weight too much to hold for extended periods. Reported battery life is excellent at 8 hours. The biggest demerit is the x230t's screen display which is a sub-optimal 1366x768. The Thinkpad Helix Convertible Ultrabook represents a nice step up from the Surface Pro, although it falls a bit short of the bar set by the mythical ATIV Q. The 11.6 inch screen is full HD 1920x1080 with Intel 4000 Graphics. The Helix is available with either an i5 or i7 processor and 4-8 GB of RAM. Storage space is either a 128, 180 or 256GB SSD. Windows 8 64 is standard. Stylus is optional. This shouldn't be too big of a demerit since you would probably want to upgrade to Wacom Feel stylus anyway. The detachable tablet screen weighs 1.8 lbs (slightly less than the Surface Pro). With the clamshell keyboard attached, weight goes up to 3.8 lbs. Battery life docked is 10 hours. In tablet mode it is 6 hours. The Helix is deeply discounted this weekend but still ranges in price between $1350 and $1700 for non-3G models. http://shop.lenovo.com/us/en/tablets/thinkpad/thinkpad-helix/ That's similar to price estimates we've seen for the ATIV Q and significantly lower than the Cintiq Companion. But of course, you are looking at a 1.7 inch smaller screen. So what do you think? 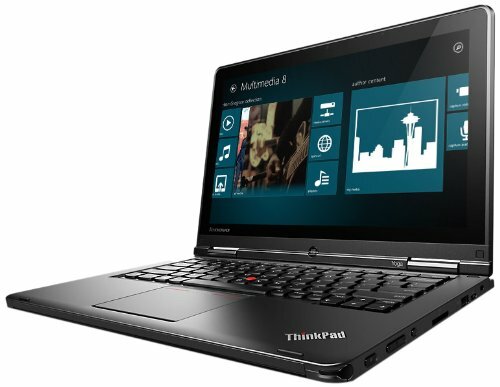 Are these two Thinkpad convertibles worthy competitors? Should we keep waiting for the ideal Surface Pro replacement or will these products fit the bill?If you already own one or both, I'd love to publish your review. Please leave your thoughts in the comments section below.